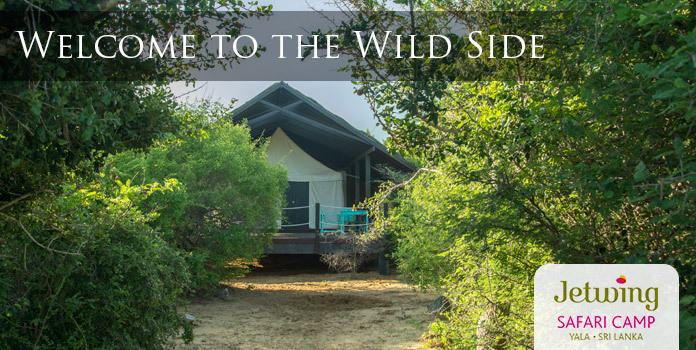 In the harmonious wilderness of Yala, camping has always been the lodging choice of adventurers and enthusiasts alike. 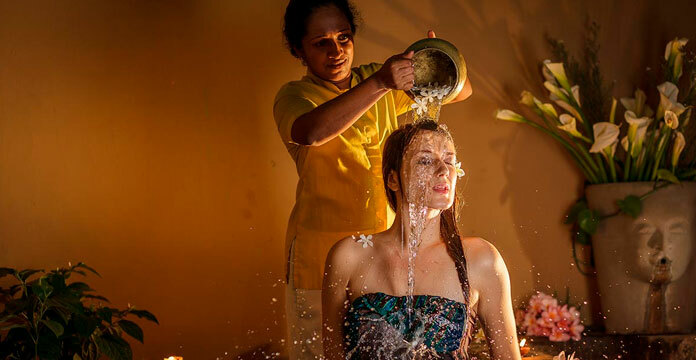 At Jetwing Safari Camp, we have redefined this popular pastime with a sense of elevated luxury that is complemented by the finest in Sri Lankan hospitality. Upon the peaceful dunes of coastal Yala, luxury tents combine the simple pleasures of camping with the plush comforts of modern living. Fitted with contemporary amenities that range include air-conditioning, Wi-Fi, and a luxury shower enclosure, each of our ten rustic tented villas remain a natural fit in the surrounding habitat – complemented by the sound of our bordering ocean, and even the calls of our wild neighbours. 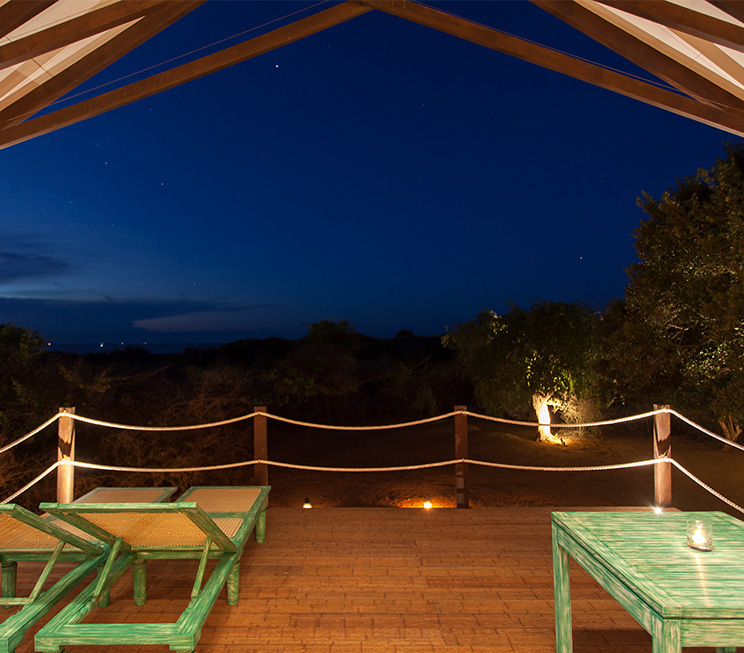 The spacious wooden deck that extends from the comforts of your luxurious bedroom serves as a personal viewpoint for wildlife such as samburs, wild boars, birds and reptiles that occasionally visit the grounds of Jetwing Tented Villas, adding to the magnificence of our coastal wilderness. And with a personalized butler at your service, the home of Sri Lankan hospitality is yours to indulge in across the sprawling grasslands of our resident environment. Be it dining under the stars on your private villa deck, or a friendly guide to the unexpected wildlife in your courtyard, we are delighted to serve you throughout your stay at Jetwing Tented Villas.